The slotted design allows for the attachment of a lightweight accessory in the middle of the extension. When used with Ikelite's Sliding Ball Mount, the additional accessory is able to move up and down the length of the arm for quick repositioning during a dive. 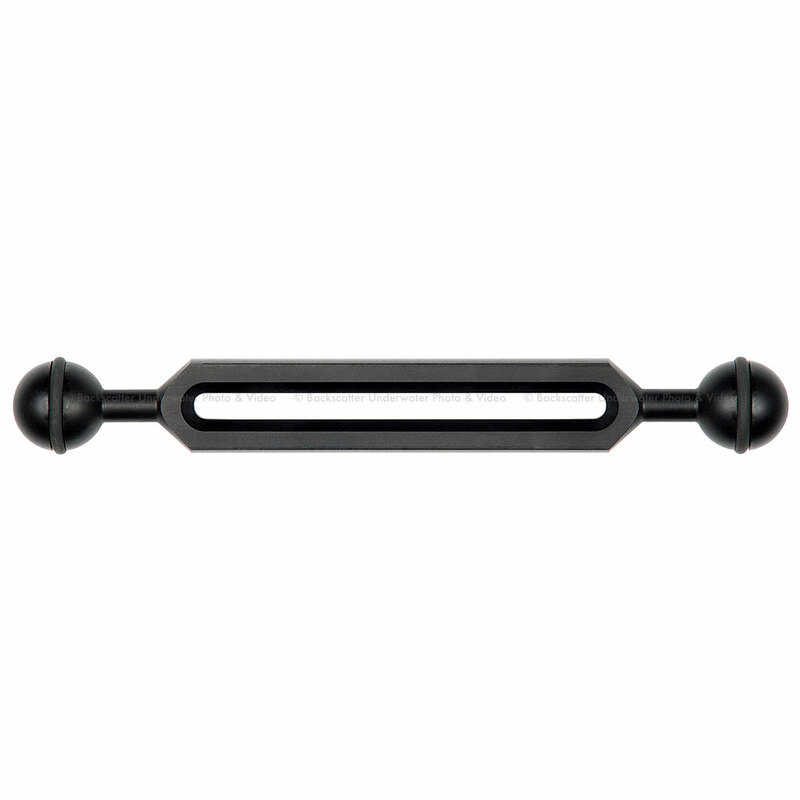 This ball arm extension replaces Ikelite's Product Number 0466.62.